Looking for an effective treatment to help reclaim your skin's youthful look, texture and tone? One of the most popular anti-aging remedies is fractional CO2 laser skin rejuvenation, which improves the appearance of fine lines, wrinkles, scars, texture and hyperpigmentation (discolored areas of the skin)*. The fractional CO2 laser beam instantly removes superficial layers of the skin. The healing process that follows induces cell regeneration causing skin tightening and textural improvement. 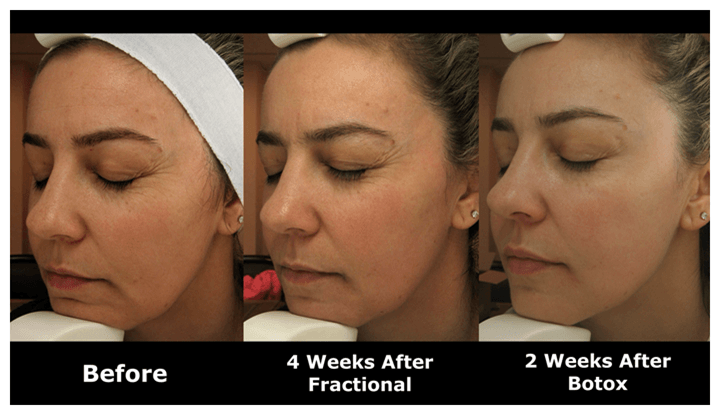 The result is smoother, tighter, clearer and more youthful skin*. Most patients require just 1 session*. Deep acne scars may require additional treatments. Further, because of continued stimulation of collagen production, one can see improvement for up to 6 months after the treatment*.